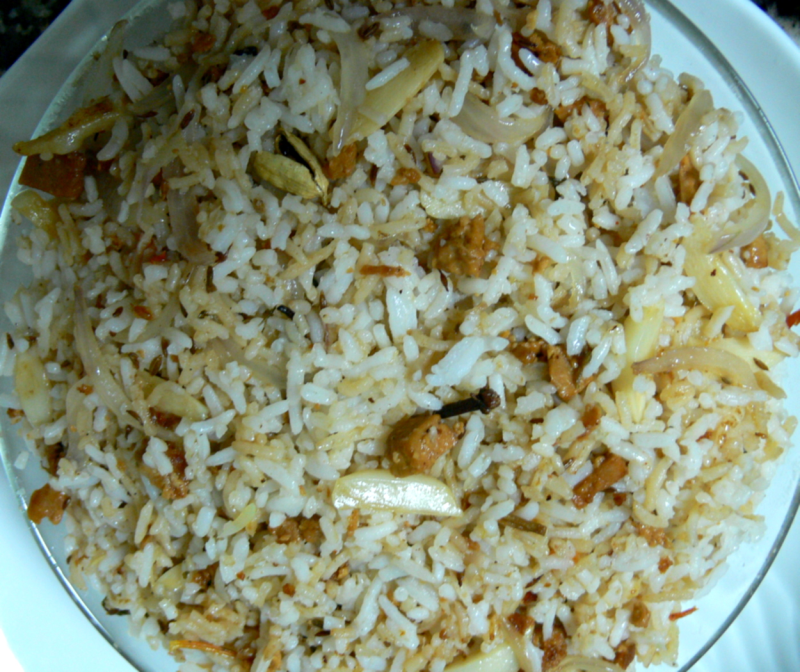 Tasty and easy to do Paneer-Garlic pulav to try at home(for Paneer lovers). Heat oil and ghee in a non-stick kadai.Saute cumin seeds,cinnamon stick,cloves and cardamoms. Add chopped garlic and onions and saute for 3 mins. Add chopped spring onions,chopped mint leaves and coriander leaves. Add the ground masala,salt and grated paneer and the remaining paneer cubes and cook for 5 mins with 1/4 cup water. When the Masala gets dry,add the cooked basmati rice and mix well for 2 more mins. Serve this Paneer-Garlic Pulav with raita of your choice and Pumpkin Curry. Hi Rakesh,Thanks for ur feedback. I'm delighted (indeed happy) to know that this recipe is useful to many esp. You.Happy Cooking!. I had invited some of my friends from philipines for dinner at home and prepared this recipe. I was completely taken-a-back by the way they were gorging down the food and they said to me it was delicious, yummy so i had to give them the recipe of yours. Hope so don't get mad at it and thanks for posting for the recipe and from Now onwards i am gonna try more of ur recipes. Thank u.
Hi Suman, thank u so much. looks yummy , n' not too fussy. i'l try this soon.